As always, thank you Angie for hosting us and bringing us all together! Each week is so much fun! And thank you Saucy and Sir Johnny for co-hosting! I have to say….this really is as delicious as it looks! The sweet crust made such a delicious addition to this yumminess! Wash and cut the pear into pieces. Put into a small baking dish. Create the chocolate sauce by combining the cinnamon, chocolate chips, coconut milk, and 2 tbsp honey in a small saucepan over medium heat. To make the crust, combine the almond flour, almond extract, 2 remaining tbsp of honey, and coconut oil. Mix together well. Cover the top of your pear dish with this. 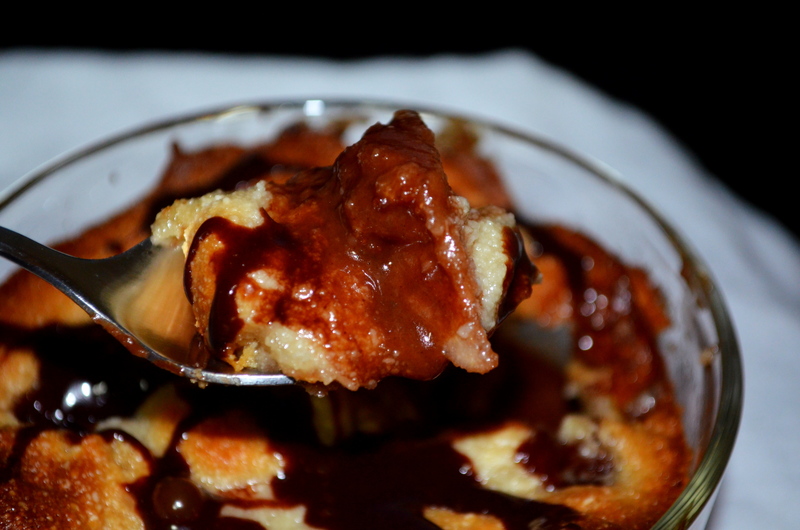 Posted	 May 2, 2014 at 5:16 AM by Ngan R.
These are great for individual size dessert treats, Lori. 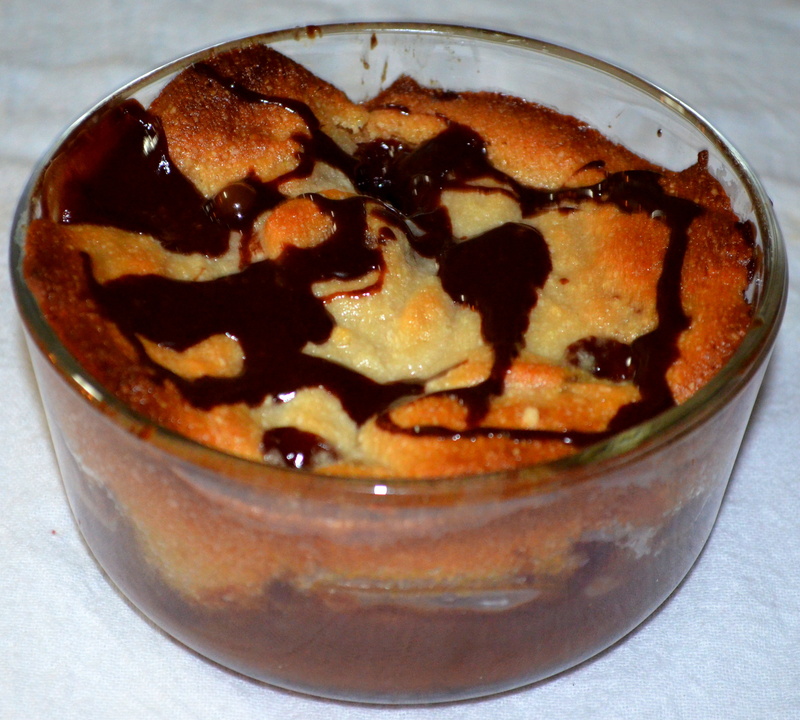 I can see us enjoying these in our own ramekins (no need to fight), mine drizzled with lots of chocolate, his topped with a scoop of ice cream. Just a question, what do you do with all the coconut milk you don’t use (the non thick stuff)? 🙂 I used mine in a curry the other day, but wonder if you freeze it? Happy Friday! Thanks for such a compliment Julianna! Put a smile on my face! 😀 A big one! Hi sweet Jhuls! I have missed you this week! Again, sorry to hear it has been an exhausting one for you! Omg stop! This sounds so delicious! Happy Fiesta Friday! Thanks so much Cella! Happy Fiesta Friday! This is great! 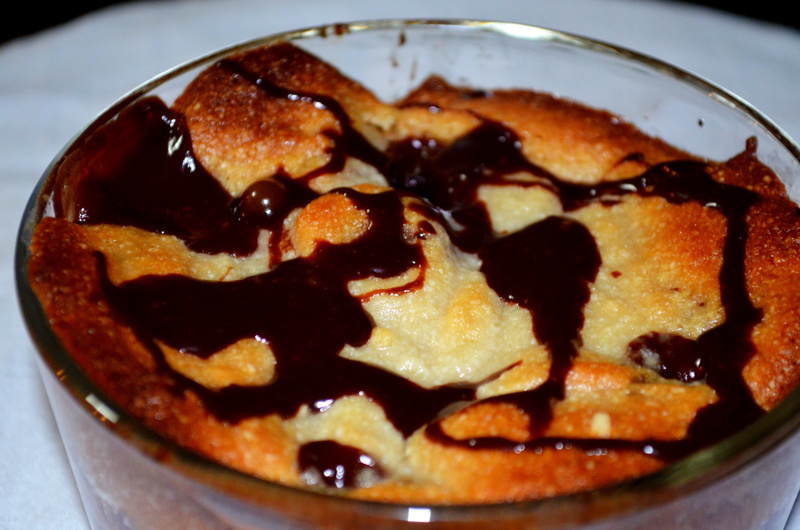 Pear and chocolate is one of those crowd favourite combinations, and I love your twist / experiment with this crisp! Mmm you may have inspired me to bake something with pears and chocolate this weekend… 🙂 Thank you for bringing this to Fiesta Friday!! so simple and yet, delicious! I love when simplicity and delicious can go together! 😀 Thanks Apsara! I am SO making this!!! 🙂 YUM!!! 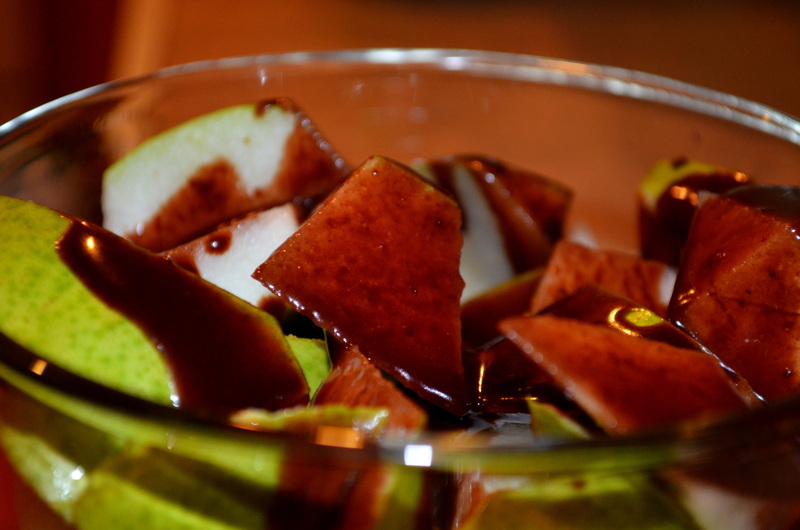 Mmm…you’re speaking my language now…pears + chocolate! 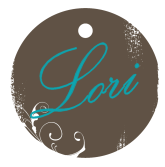 Looks fabulous, Lori! Thanks so much Nancy! I had never had this combination before, but I really liked it! Yumm! This is great! And now i am hungry! Lori- this looks absolutely divine! Looks amazing and sounds delicious! It’s sounds like a healthy dessert! I think you are right about the excuse to make something sweet. I told myself that I was going to make something healthy next time, or at least non sweet and instead I brought cupcakes! Ha! 🙂 This looks yummy Lori! Really lovely combination of flavours going on. Over here in the UK it’s far more normal to view recipes that poach pears, usually in wine (that I don’t drink). This is bound to be really flavoursome, especially with the crisp (or crumble as we call it). And I love anything to do with ground almonds! And coconut. But I’ve never used both together. 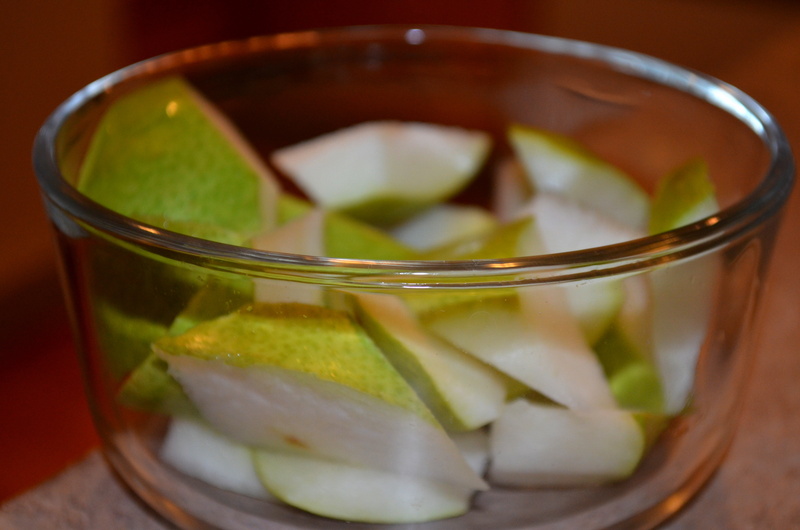 Poaching pears….hmmm….I may have to look into that. Thanks for your kind words! I use coconut milk or coconut oil in most things…it is really great! Thanks for stopping by! Thank you so much! I really liked it! Ah, thanks so much! Ice cream on top would be great! Thank you so much Nell!